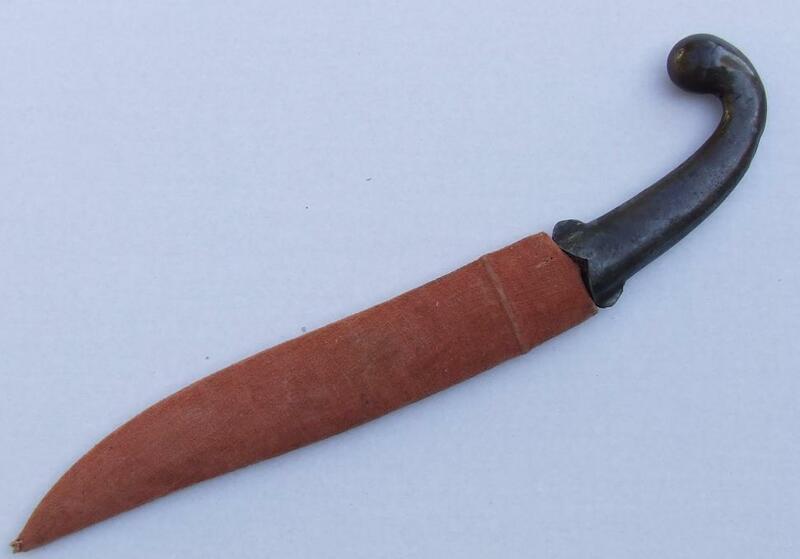 Antique, 19th century, Islamic, Indo – Persian, all steel short dagger, Khanjar, with traditional Indian pistol form hilt with lobed pommel, with a slightly re-curved, double-edged blade featuring a central panel, deeply chiselled on both sides with various animals, including elephants, tigers, camel and rabbit in a classical Indian hunting scene (shikargah), depicting tigers hunting animals. In its original wooden scabbard covered in velvet. 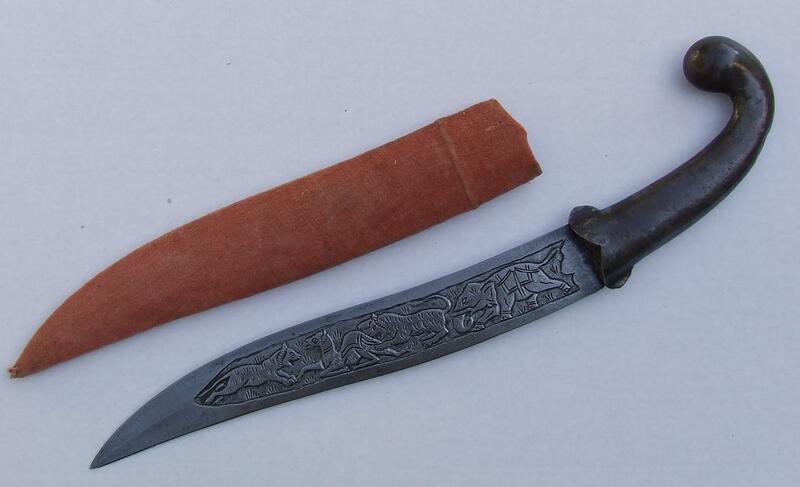 Overall length with the scabbard: 40 cm (15.75 inches). 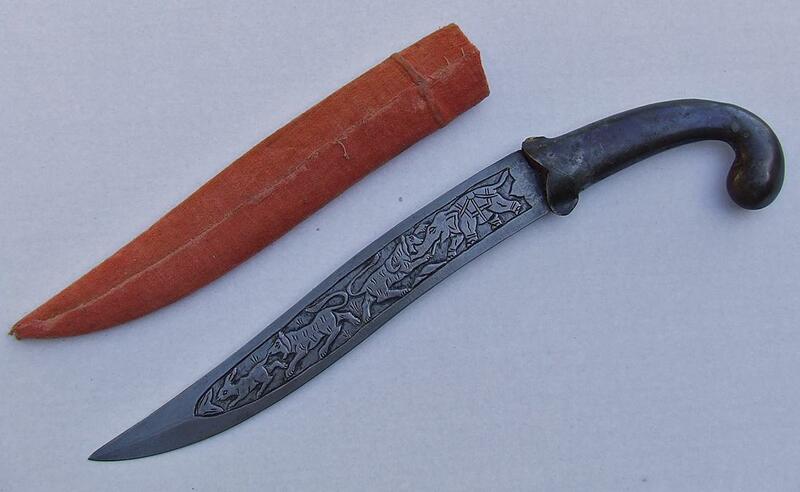 Overall length without scabbard: 38.5 cm (15.16 inches). 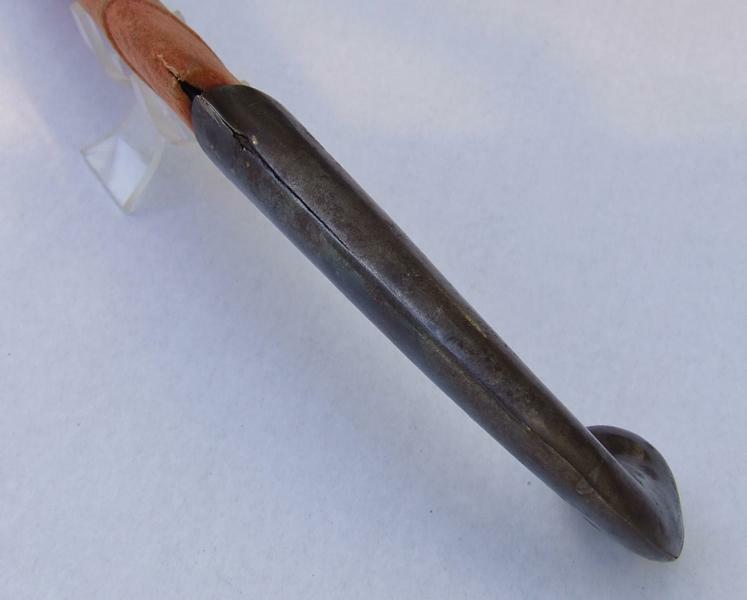 CONDITION: Showing the age and usage, minor dent and split on the join of the hilt. The hilt retaining traces of original blued finish.